According to court records, plaintiff was tying to step into the bathtub to take a shower when he slipped and fell to the floor, thus injuring his knee. In his personal injury lawsuit following his slip-and-fall accident, plaintiff alleged that this bathtub did not have a grab bar, and there was not a bathmat at the bottom of the tub. He also testified that, after the fall, the hotel gave him a bathmat, and that he learned that other guests had bathmats in their rooms. He filed a lawsuit against hotel claiming that he was a business invitee and was injured by the dangerous surface of the bathtub without a mat and the fact that there was no grab rail in the tub to prevent such an accident from occurring. According to common law in most states, there are different standards in premises liability cases depending on the purpose of the plaintiff being on the defendant’s property. There are classifications such as business invitee, social licensee and other somewhat archaic distinctions. However, as your Boston personal injury attorney can explain, in Massachusetts, the Supreme Judicial Court (SJC) did away with these old distinctions in the 1970’s and now there is a standard of care that is the same as the one applied in most other personal injury cases, regardless of the reason that the plaintiff is on the defendant’s property. A defendant therefore owes a duty to act in a reasonable and prudent manner so as to protect foreseeable plaintiffs and property from foreseeable harm. This can include warning a potential visitor of a known danger or can include removing the dangerous condition, if that is more reasonable in the situation. In this case, plaintiff argued that defendant failed to act reasonably to warn him of the known danger and also failed to make the bathtub reasonably safe. After filing his complaint, the defendant moved for summary judgment, requesting that the case be dismissed. They argued that that just because they provided bath mats to some of the guests did not mean they had a duty to provide them to all of the guests. The court agreed with this argument and dismissed the case. The plaintiff appealed to the state court of appeals, and that court agreed with trial court and affirmed the grant of defendant’s motion for summary judgment. 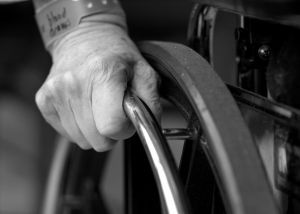 On appeal to the state supreme court, the court looked at the issue of whether the court used the right standard of care in a premises liability cases of this sort and found that it was not so clear. For this reason, the case was remanded for further proceedings consistent with their holding.